Bangus Relleno Recipe - Gutom Na! Posted on Tuesday, November 29th, 2016 at 2:47 pm. 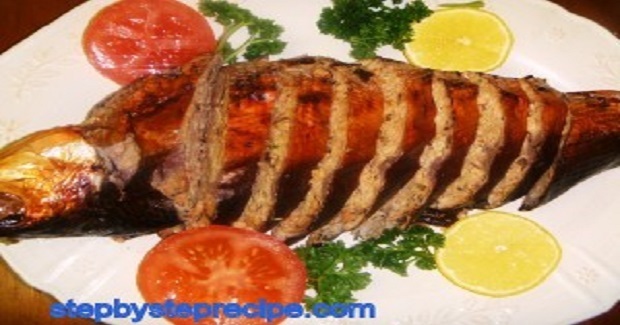 Scale and remove the intestines of the fish.Gently pound fish to loosen meat from the skin. Slowly remove the meat of the fish from the skin through the opening cavity below the head. Remove the spine by snapping off the bone at the base of the tail and head. Use a long spoon to scrape all the meat from the skin. Marinate skin and head of the fish with soy sauce and lemon juice.Set aside. Mashed the fish with fork before adding it to the rest of the ingredients..